If we build it they will come, right? If only it were that simple and easy. 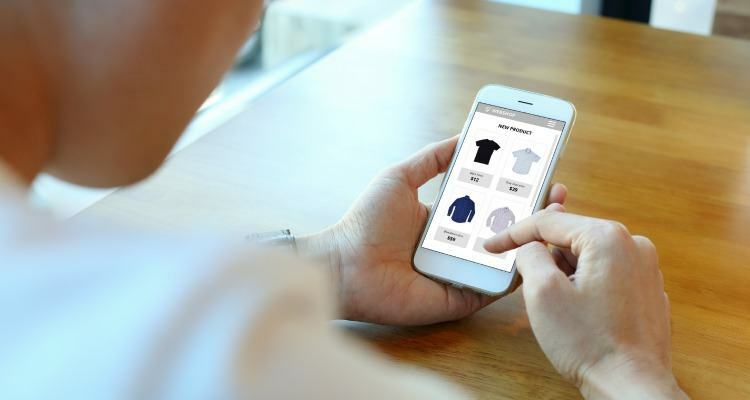 We all know it isn’t, but many business owners expect the orders to start flooding in, as soon as their online stores are launched. After all, doesn’t everyone shop online these days? Sure, most of us do. And who doesn’t want more traffic? The problem is, your competitors want that traffic, too. And the chances are whatever you’re selling, they’re selling something similar or identical, and are already established in the niche. So with the marketplace already well-served by what they have to offer, how do you differentiate yourself? How do you announce to Google, Hey, I’ve got something even more valuable than my competitors! Come on over and check it out! Well, SEO is a huge topic, and this is a short blog post. So you won’t find in-depth, detailed explanations here. But you have to start somewhere. These 7 eCommerce SEO tactics and tools can help you build a more optimised and authoritative site, so you can start to move up in the SERPs. We all want to improve our click-through rates. Some experts will tell you it isn’t important, but in our own internal testing, increasing click-through rates from Google has definitely improved rankings and visibility. So go forth and improve your meta titles and descriptions, for all your product categories and product pages. Make them more compelling. Make them actionable. It makes sense, doesn’t it? Getting your results clicked more often than your competitors, even if they’re higher-ranked than you, is going to help you move up and bring in more traffic. Don’t simply copy the product description from the supplier. It wasn’t written with the end consumer in mind, let alone your consumer. And you wouldn’t be the only one copying and pasting, which means your product description will be identical to at least one of your competitors, maybe more. And that’s not how you differentiate your product. So be unique. Write for your audience. Talk about what’s important to them. Don’t make your descriptions too short or too long. You have to find the “sweet spot.” Give enough information for them to make the decision to buy, but not so much that they lose patience and bounce to your competitors. Put yourself in their shoes. What would you need to know about the product? As a general rule of thumb, the lower the cost, the easier the decision to buy. So with low-priced products, you don’t need to do quite as much convincing. On the other hand, the higher the price, the more info, encouragement, and enticement you need to do to make the sale. Kissmetrics cited a study by Akamai indicating that for every 1 second delay, an ecommerce store can see a 7% reduction in sales. FastCompany claims that if Amazon’s web pages loaded one second slower, they would lose $1.6 billion in sales every year. The simple equation is this: Slow websites equal unhappy customers. Unhappy customer means lost revenue for you. Online reviews are trusted, sometimes as much as personal recommendations. So ask for reviews, and then place them prominently on your product pages and throughout your site. If a review is influential, use that power, not only on the product pages, but throughout the checkout journey. Using schema markup on your site can help you claim and secure more real estate in Google’s search results. Product: Get this right, and you can have the product regular price, sale price and even links to related products. Reviews: The aggregate review markup is compelling in search results because it displays the rating of up to 5 gold stars. Availability: You can even have product availability displayed in your search result. This way, you can avoid disappointing customers who click through, only to find the item is out of stock. Site search can give you a terrific insight into your user’s intent. It’s like posting a user survey pop-up that actually gets filled in! You can learn more about your user and user experience: What are they searching for? Why are they having to use the search function? Why couldn’t they navigate to the page or product? By monitoring and tweaking your site search, you can improve product selection and the copy on your site, and also make your navigation more intuitive for your customers. By doing this you have the opportunity to improve the user experience, remove any obstacles whilst the user is still on site, and ultimately increase conversions. For example, if you’re selling running shoes, how would the user know what shoes they need if they have high arches? Or if they overpronate? Write an article, and be thorough. Ask yourself what the user needs to know in order to make the decision to buy. Then make sure that information is easy to find in your content. Not only will this help to improve your conversions, but you’ll also attract more search traffic with long-tail keywords. This tool does more, too: competitor-based keyword research, backlink audits, brand monitoring, and more. 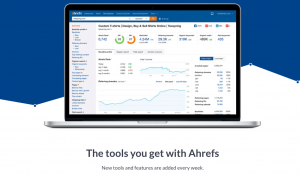 SEMRush and Ahrefs are both important. I use SEMRush for the reasons stated above, and Ahrefs to focus on my link profile. Links we still know have significant influence and with Ahrefs you can monitor new, lost and broken links in your profile to maximise your opportunities. But that’s just a small part of what Ahrefs does. These two tools are great to use separately, but even more powerful when used together. Product images are often uploaded at much larger sizes than necessary and subsequently slow your site down. Use PicMonkey to make them exactly the size you need, and not one pixel larger. Then upload your new image to Kraken to compress it and reduce its weight. Getting reviews can be done easily enough by adding a note to your receipts or including a link in your customer emails. But GetFiveStars does so much more than that. It collects customer feedback, intercepts negative feedback, helps you get reviews around the web, and adds Schema markup to help you improve your visibility in the SERPs. Marketing Automation is not new, but it is expensive. Autopilot, however, puts automation within reach for even the smallest businesses. At just $25 per month and starting with a 30-day free trial, Autopilot has a number of features that will start automating some of your customer journeys and growing your sales. This free tool, AnswerthePublic, is great for discovering what search terms shoppers use to find products like yours. It also gives you the long-tail inspiration you need to choose the best keywords. 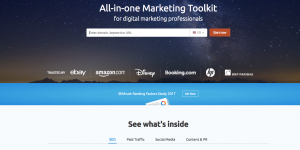 This tool, brought to you by Brian Dean and Backlinko, evaluates your meta titles and descriptions, so you can make them as compelling as possible. This means higher click-through rates from Google. YoRocket is a premium service worth paying for! Quentin Aisbett is the founder of Melbourne and Geelong based digital agency OnQ Marketing. He is a data-driven marketer focusing on lead generation.